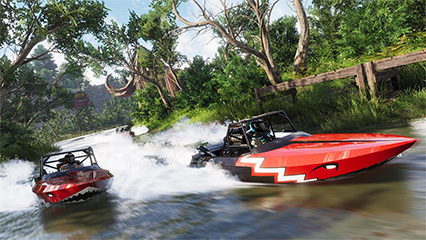 The Crew 2 is an open-world racer set across the length and breadth of the US of A. 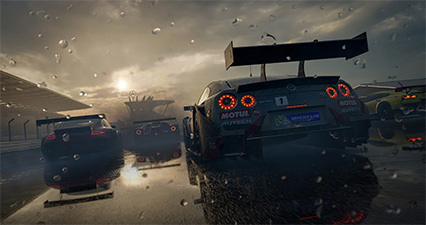 Players take control of an unnamed racer who is trying to become successful in multiple disciplines, and this sequel features not only cars, but also planes, bikes, and boats. But do these extra disciplines add to the experience or water it down? The graphics can be stunning with some really nice lighting and weather effects. 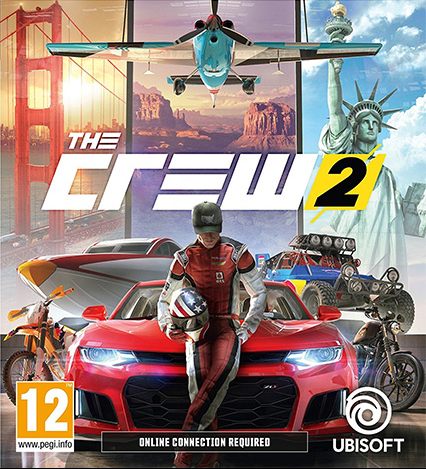 The Crew 2 starts off brilliantly, as you speed along in your car against other racers, before you switch to a plane and boat with the environment bending in on you like Inception, which is really impressively done. It’s quite an exhilarating start, and gives you a good feel for all the various disciplines to come. 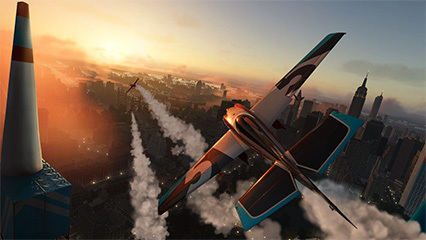 Like its predecessor, The Crew 2 features a scaled-down version of the USA, with all the landmarks and tourist sites included. It’s an impressive feat, and the graphics are really good for the sheer size of the map, with some lovely lighting and weather effects. However, on closer inspection, a lot of the buildings and trees are duplicated, and some of the textures are quite low-res and flat when viewed close up; which is understandable, but does lessen the impact somewhat. The game features four different hubs, which correspond with the four main disciplines – street racing, off-road, pro-racing and freestyle. 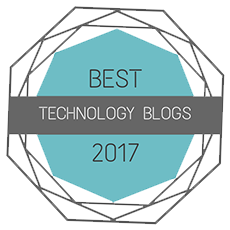 Each of these hubs features a different family of racers who help you in your journey. These characters are mostly forgettable, with some cheesy dialogue that you just want to skip, and the story lacks any cohesion which makes you quickly lose interest. The main aim of the game is to amass a large social media following by completing races and events, which earn you cash and loot in order to upgrade your rides, and unlock the next series of events. During boat races you have to watch the swell from opposing racers. The game includes a new feature called Fast Fav, which lets you change vehicle at the touch of a button. So you can be driving along in an Aston Martin, hit a ramp, push a button, and then jump instantly into either a boat or plane. 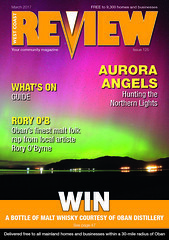 This works brilliantly, and it’s like you’re in your own Transformer (without the giant fighting robots, sadly). Unfortunately there are only the Live Xtreme Race Series races that take advantage of this gameplay mechanic, with most of the other events sticking to the one vehicle, which is a bit of a missed opportunity. The races themselves are mostly entertaining, with the cars feeling suitably weighty with some decent handling which is quite satisfying. At the start of the game vehicles can feel quite sluggish, but as you complete races you are handed loot boxes (Boo!) which let you upgrade your vehicle. Entering an event with a vehicle that isn’t high enough ranked for the race is a bad idea, as it’s almost impossible to win. To get a higher ranked vehicle, you need to grind through some lower events to earn parts to upgrade your current vehicle, or use the cash earned to buy a better vehicle with the higher PERF point rating required; or you can buy credits with real money, if you want to feed the evil Loot Box Monster. You need to be wary of giant traffic cones while flying!! During races, the tracks have arrows pointing you in the right direction, and you also have a map which has a route planner to keep you right. There are some shortcuts dotted around, but sometimes taking these routes can make it difficult to get back on the right track. The opponent AI is very aggressive to the point of being virtual cheats. Opponents regularly rubberband past you if you slow down on some tight corners, which can get frustrating. There were times where we rage quitted faster than Boris Johnson, when we were heading for a win, but ended up in 7th place as we clipped a piece of scenery on the final bend. The crash physics are also lacking, as you simply batter into walls and slow down or stop, and vehicle damage is also limited to a few scratches on the bonnet, even as you hurtle into a wall at 200mph! Making sure the vehicle you buy has a high enough PERF rating to compete in the events is crucial. 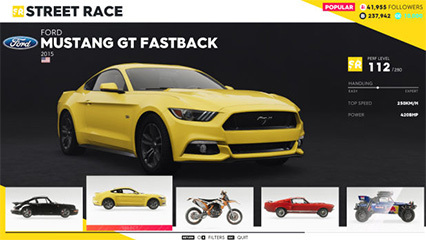 The online options of The Crew 2 are quite sparse, and while you can see other players in your game, and hook up with your crew mates and compete in races together, there is no way to launch a full-on multiplayer race with players you meet in the game, which seems like a major omission. We can only hope that Ivory Tower will update the game and give you the option of racing with other players in the near future. There are online leaderboards, and you can challenge other players to beat your times and scores, but nothing beats the exhilaration of racing other humans. The Crew 2 is like an enjoyable road trip, which is beautiful to experience, but the kids are in the back seat, bored, and nagging ‘are we there yet’ constantly in your ear. The dirty cheating AI is the main bugbear, and the grind to earn enough cash for the vehicles you need to enter later events can get a bit tedious. However, there is a lot to like in The Crew 2, with Fast Fav and the addition of planes and boats adding extra depth to the game. We think in time, with some more development love, it could well become a great game. It’s just not quite there yet.